In the last post about IBM WebSphere MQ, I described how to install the current developer edition (v9.05) on your local Windows 10 Environment. In this blog post I will show, how to code a simple .NET C# Client to send and receive messages over the created message queue. This tutorial is based on the given code samples from IBM you get after installing the developer edition of the IBM Websphere MQ Server. 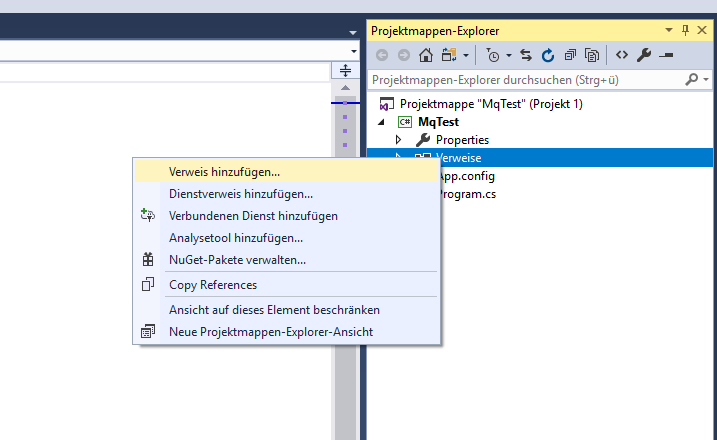 In my installation they were located at “E:\Programme\ibmmq\Tools\dotnet\samples\cs\base”. I used Visual Studio 2017, Community Edition, to code this sample. 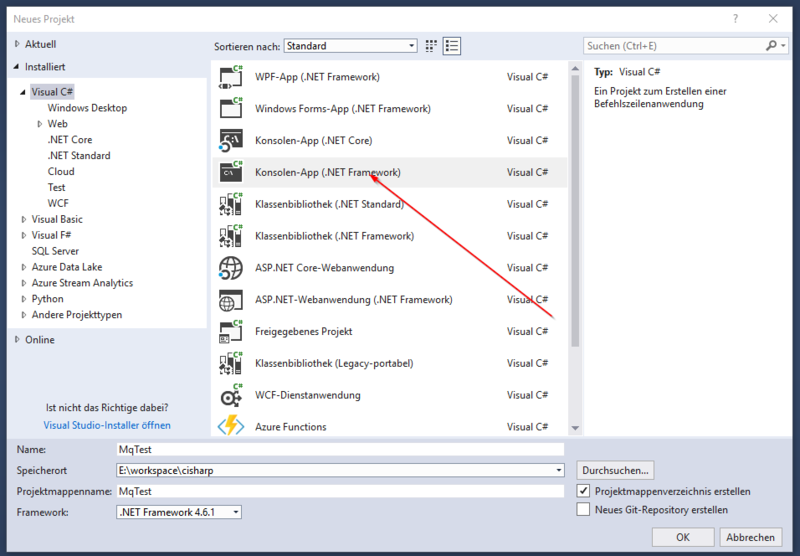 To start, create a new C# Console Project start with file new project and choose the “Console-App (.NET Framework)” project template and name it “MqTest”. After hitting the OK-Button your project is created and the Program.cs file is opened for you. Next up we will add the necessary references for the example application. To start this, right click on the references in the solution explorer of your created example project and click on the “Add reference…” menu entry. Next click on the section “Explore” to search in the file explorer for the DLL needed for implementing the MQ-Client. 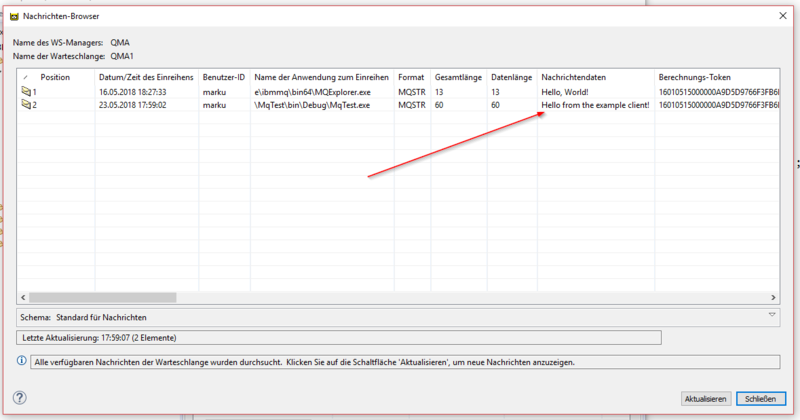 After successfully adding the reference, it appears in the list of project references in the solution explorer. In the last part of this tutorial we created the queue manager QMA which we will connect to in this part of the tutorial. 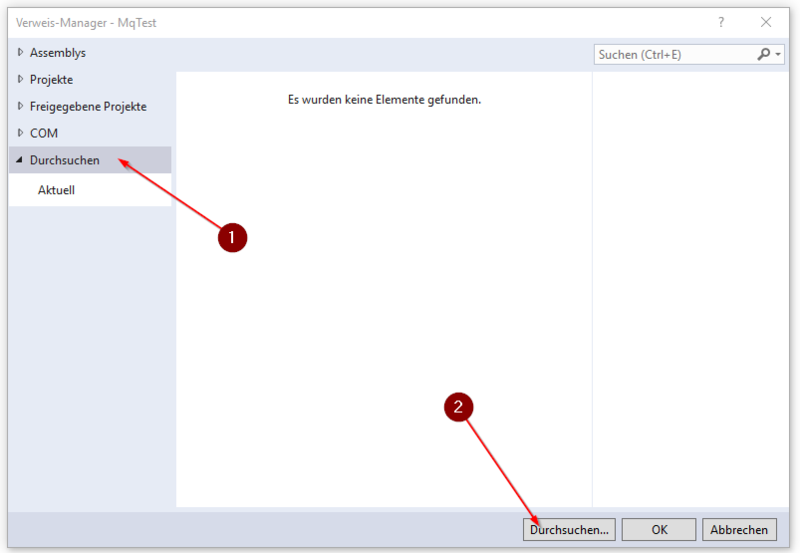 After successfully connecting to the queue manager we are ready to connect to the simple local queue we created in the last part of the tutorial which was named “QMA1”. We can create a connection to this queue in a similar way as we created the queue manager. We create an instance of type MQQueue and pass the queue name as constructor parameter. Additionally, we add flags to the second constructor parameter to tell the MQQueue instance, that allow to read the output of the queue and allows us to create messages in the queue. Additionally, the flat “MQOO_INQUIRE” was added, to be able to read attributes from the queue object itself. For sending a simple text message to the queue, we must prepare an instance of the MQMessage class and put it on the queue. The following code snippet shows how to do this. After executing our code, we can look at the messages of our queue and we can see the sent message from our client (you can look at the messages of the queue in your IBM MQ Explorer installation, as described in the last part of this tutorial)! For receiving a message, the GET method of the queue object can be used. This method requires a target message object to write any received message to and message options for defining parameters like wait timeout. In the following code a simple get method is executed (you may want to execute this code in a loop, to keep receiving new messages from your queue). When we run this program now, we receive the message sent previously by our program. After all your receiving is done, you may want to close the connections to the queue and disconnect from the queue manager. 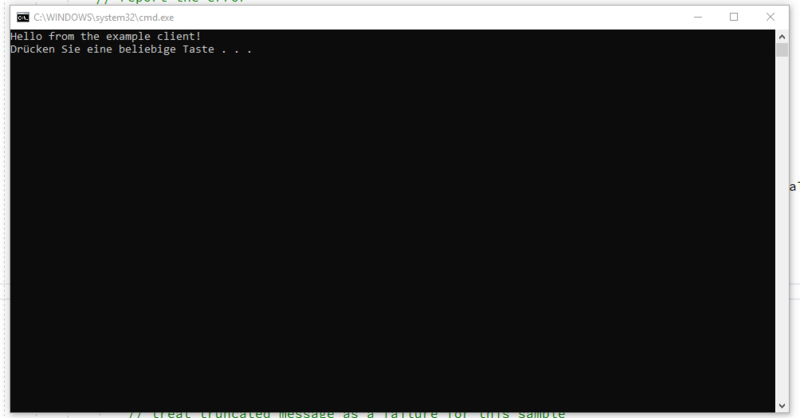 This is done by calling the corresponding methods of the MQQueue and MQQueueManager instances. In this series I have shown how to connect to a local developer edition of IBM Websphere MQ. The last part, connecting to a remote MQ-Server, will be available after I have implemented the customer request in the next 2 months, stay tuned! I hope this was helpful to anyone, any feedback is greatly appreciated! Loving these posts. Quick typo to fix in the very first paragraph. You say “IBM WebSphere” when you mean “IBM WebSphere MQ”. Feel free to delete this comment once you have made the correction. Cheers! Thanks for your feedback! I’ve already corrected the post. 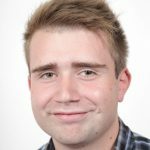 I am a Software Engineer and Entrepeneur located in Austria, Europe. I am the Co-Founder of Jack Project and work as a Software Engineer. I will blog about topics in Software Engineering, Data Science and occasionally Entrepeneurship.